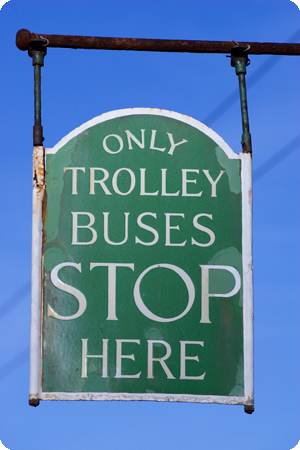 The project TROLLEY promotes trolleybus systems as ready-to-use, electric urban transport solution for all cities (not only cities where a trolleybus is already in place), because trolleybuses are efficient, sustainable, safe, and – taking into account external costs – much more competitive than trams or diesel buses. The project directly responds to the fact that congestion and climate change come hand in hand with rising costs and that air and noise pollution will finally result in growing health costs. TROLLEY responds to increasing oil dependency and rising costs of oil, and aims at enhancing the quality of life of our citizens. The project furthermore contributes to a better accessibility within Central European cities, focusing on urban transport. By following an integrated approach the project has one main objective: the promotion of trolleybuses as the cleanest and most economical transport mode for sustainable cities and regions in Central Europe. Through this general objective, TROLLEY seeks to enhance quality, safety and attractiveness of public transport, while also contributing to the mitigation of negative environmental impacts of transport in Central Europe.